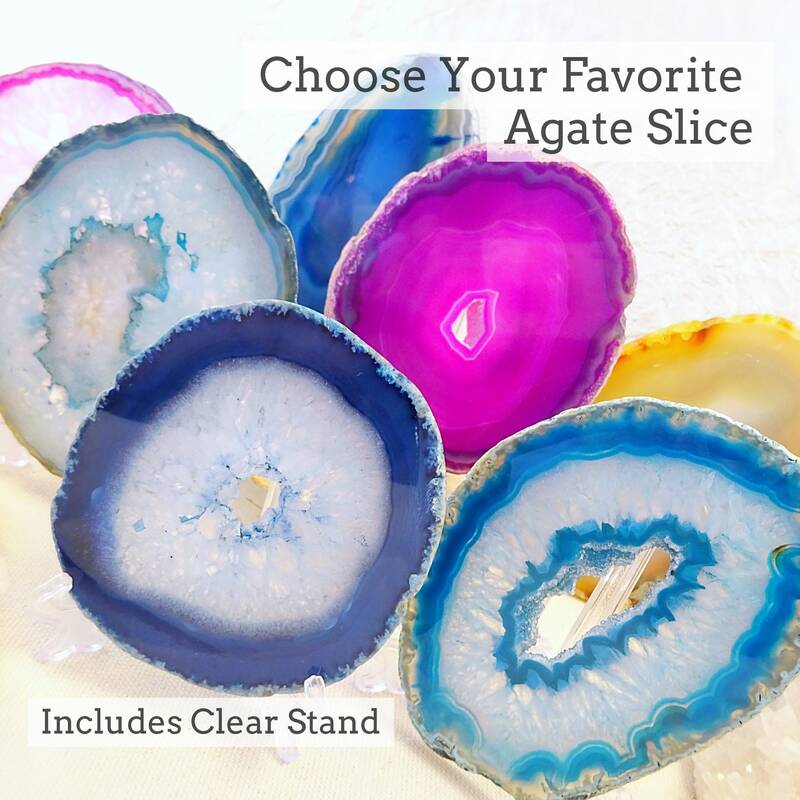 Choose your favorite agate slice and enjoy a piece of ancient natural history right in your home or office. These large agate slices measure approximately 4.5-5” in size and come with a small clear stand for easy display. 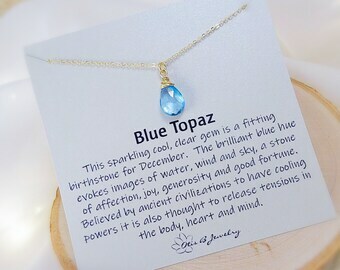 Each specimen is labeled with a number, choose your desired slice/s from the “Style” drop down menu to place your order. 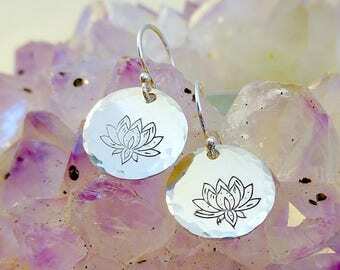 Set them on a table top or desk, use them as coasters, or place them in your windowsill and let the sun radiate through! Agate is a member of the quartz family and can be identified by its signature bands and translucent luster. Agate is a porous mineral that readily accepts dye, hence the brilliant colors as seen here. The variations in banding comes from thousands of years of silica deposits and collections of ground water that seeped into cavities of igneous rock. The bands act like a record of the changes in water chemistry over time and is what produces their unique and beautiful patterns.